It used to be that if a real estate investor considered buying a property in a designated flood zone the only concern was the additional $500-$600 annual premium the new owner would face as a result of their home purchase. As you know, standard homeowners insurance does not cover flood damage so mortgage companies require purchasers to buy flood insurance. That additional monthly expense of flood insurance would be included in the mortgage payment for the purchaser. The big question was (and still is), “How does that affect the buyer’s ability to purchase this home”? 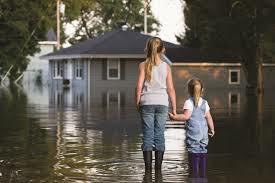 In the past it was simply can the buyer afford another $40-$50 a month to cover the cost of the flood insurance? At the end of 2013 there was a change in the Federal law that caused flood insurance premiums to skyrocket. Some premiums went up ten times more than the current premiums. Sales of homes in these areas came to a standstill and pending closings on these properties were immediately canceled. Folks could no longer qualify for much less afford the new monthly mortgage payment. It’s important to note that this law only affected policies taken out since July of 2012. Homeowners that already had properties in designated flood areas were unaffected by the changes where their own premiums were concerned. However that’s a completely different story should they decide to sell the property! Sellers with properties which were located near a body of water were suddenly forced to accept their new reality. They often couldn’t give those homes away. Even homes with beautiful views were no longer desirable. Nobody wanted them because of the increased cost of the new flood insurance premiums.